Several different attributes are deemed important in the con-tainer-to-mode assignment on a synchromodal transportation network. This paper proposes a way to quantify several of this different attributes: Robustness, Flexibility and Customer Satisfaction. 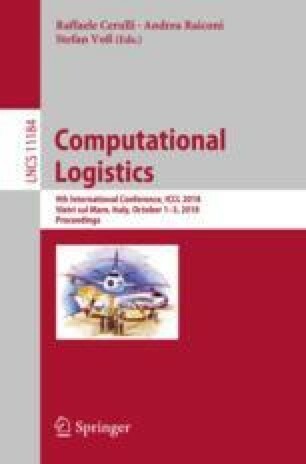 These attributes are used as alternative objectives when optimizing the container assignment in a Synchromodal Transportation Network, modelling it as a Minimum Cost Multi-Commodity Flow on a Space-Time Network.